Some Texans are complaining of years-old posters and poll workers who were inaccurately describing the state's newly softened voter identification rules. The fast-moving litigation triggered worries about voter confusion, which a survey this month by the University of Houston Hobby School of Public Affairs illustrated. Of 1,000 registered Texas voters polled, 44 percent said they believed the state required a government-issued photo ID to vote, while 26 percent said it wasn't required. Most of the rest said they didn’t know. Donna Parker, a spokesman for Bexar County elections administrator Jacque Callanen, said Tuesday afternoon that the old posters had since been replaced with accurate ones. Alicia Pierce, a spokeswoman for Texas Secretary of State Carlos Cascos, noted that litigation forced the state to redesign its official posters "very recently" and said her office this week reminded clerks statewide to make sure polling places displayed the correct one. He shared the experience on Facebook in a post that has generated more than 140 comments, including several from other Texans who heard similar messages at the polls. Among them: Texas Ethics Commissioner Mary K. "Katie" Kennedy, who also voted in Houston. 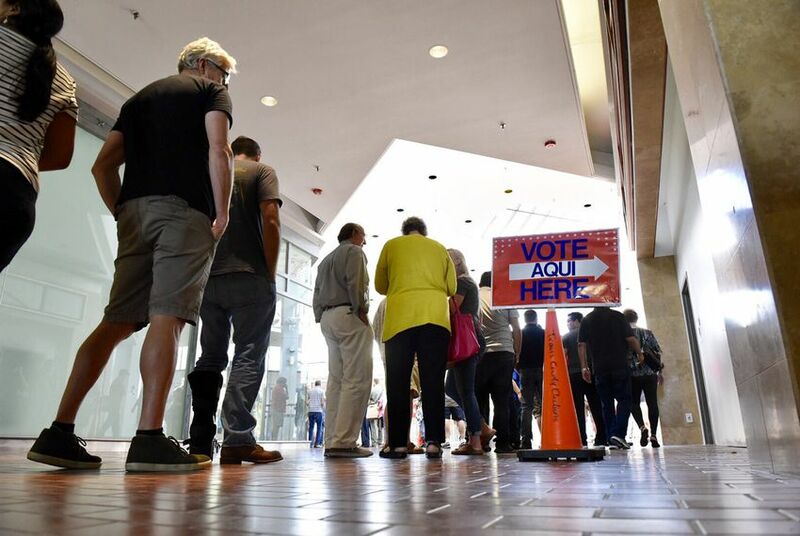 Asked about those Bexar County reports, Parker, the election administrator's spokeswoman, said in an email: "The line walkers with the portable electronic tablets are there to expedite the voting process by gathering voter information before the voters get to the table." Pierce said the secretary of state's office wants to know about any abnormalities voters spot at the polls. “We encourage people be the eyes and ears," she said. "If you see something, say something."